Home » Baby Jesus » Baptism » Epiphany » Holy Name of Jesus » Jesus Baptism » Liturgical Ornament Patterns » Liturgical Ornaments » Mother Mary » Our Lady (All Posts) » St John the Baptist » January Liturgical Ornament Set 1 - Felt Patterns, Short-cut Felt Ornaments, Coloring and Paper Ornaments! For all ages! Introducing the newest set of Liturgical Ornaments! These are a little late to be released due to a beautiful Christmas season, as well as, a family emergency(see below), but better late than never! 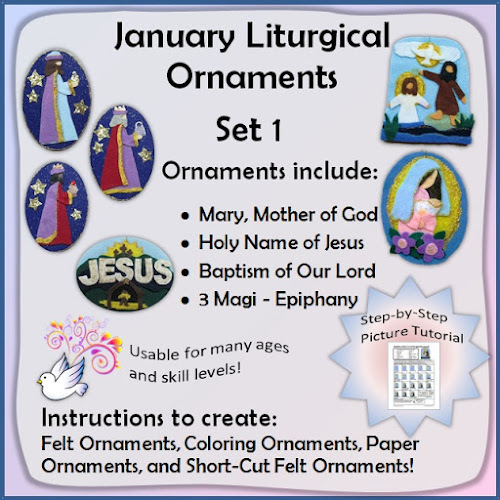 This January Liturgical Ornament Set 1 is even better than the previous sets! 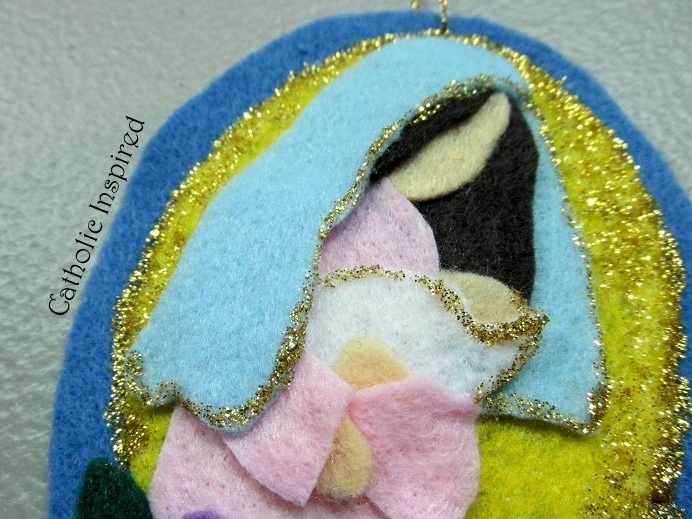 It includes a step-by-step picture tutorial which shows how to create the felt ornaments! This makes it easier for you to create them! Plus, this is a huge advantage to have if you should decide to make them with a large group or class! This set includes patterns and instructions to make beautiful felt ornaments! They are perfect to give as gifts! They will last for years to come! Decorate your home or classroom with the ornaments on the feast day or during the month of the feast day! 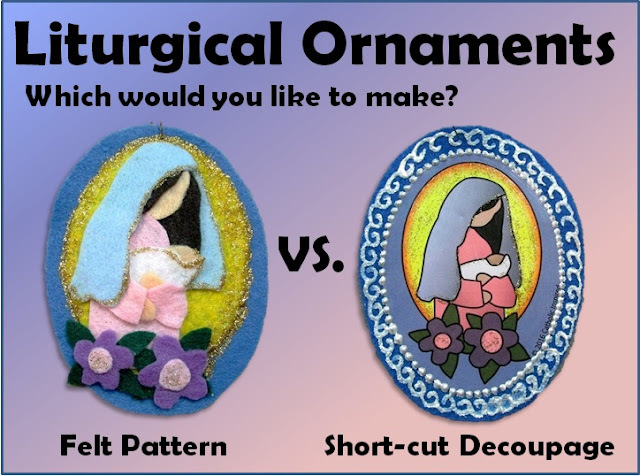 The patterns help you to create the perfect ornament! They can be used for cutting paper and are ideal for felt! Straight pins help keep the pattern in place while you cut the felt. 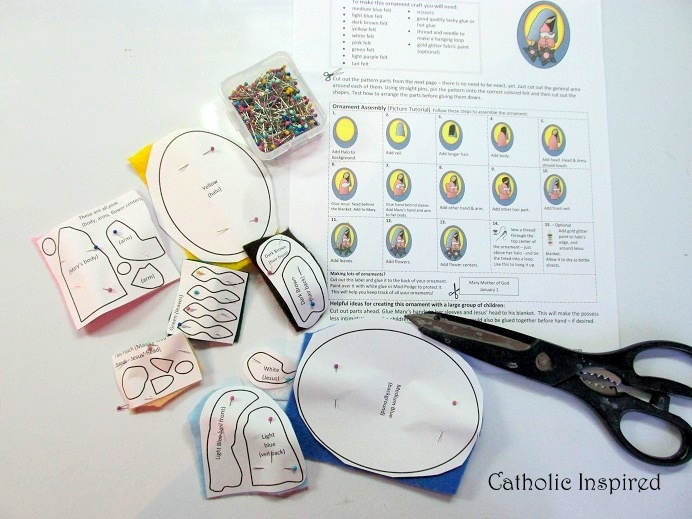 Once the pieces are cut the ornament can be created! Use the picture tutorial to help you! Add fabric paint to decorate it! The ornament patterns can be difficult or intimidating for some people. Or maybe you are in a rush?! Or maybe you want something easier for a group of children. Whatever the case, if you decide you don’t want to attempt to create the felt pattern ornament, but you still want an ornament that will last longer than just the cut paper ornament, you may like this Short-Cut Felt Ornament Craft! 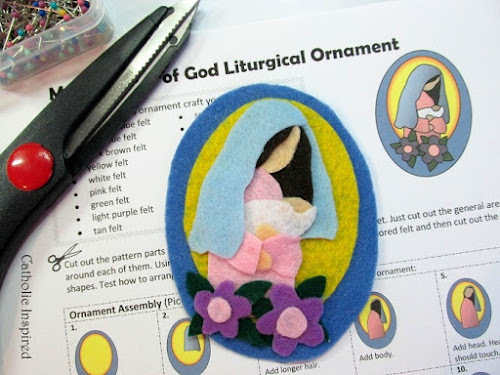 This craft uses the colored images from the ornament set. 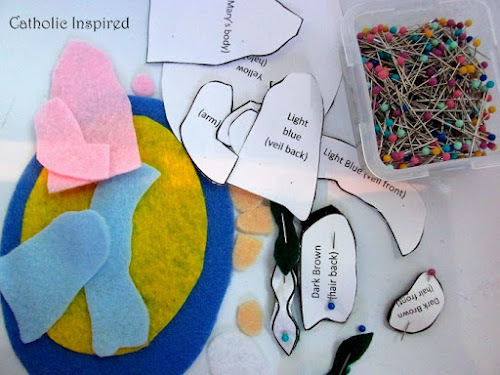 Simply cut out the image, glue it onto felt and decoupage over top! It’s super easy, but you can also get fancy by using fabric paint! 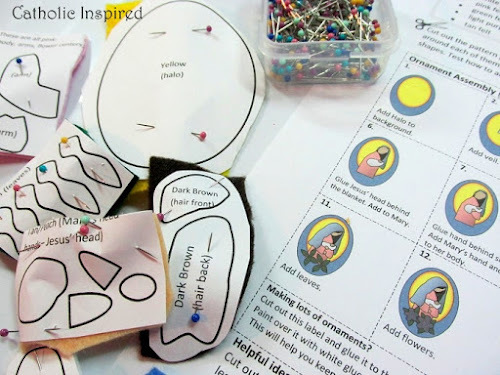 The file includes a detailed explanation and instructions! 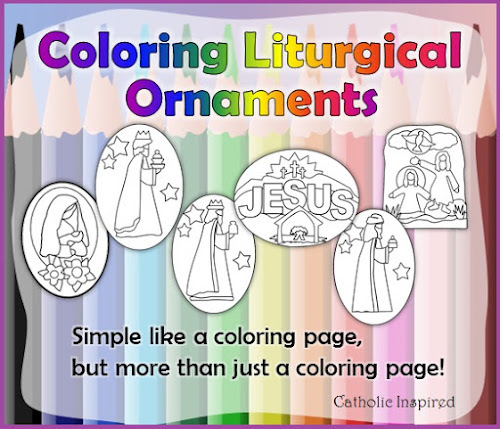 The set includes a simple coloring activity the younger children in your life! These are cute coloring ornaments - simple and faith-filled! The ebook is available to download from online shop! Please say a prayer for our 9-year-old daughter, Hannah. She had an unexplained seizure Tuesday morning. Although she has had a number of tests done, we still do not have an answer as to what is going on. She's a trooper and puts up with all the blood test and CAT scans, etc. Mom, on the other hand, is not getting much sleep. Thank you for any prayers for her! God Bless you with joyful zeal! Going to the 12:00 mass....ill pray and light a candle. Hang in there! jen...love these liturg orn!! Simply lovely! I can't say that I'll be making them now during this season....but I do love how pretty ( and easy ) they are!! Will share and pin! Sp happy to get a post from you this AM!! xoxoxo Take care and give our love to Hannah! As always, your January ornament set is beautiful! Thank you for sharing! You are so creative! And I'm so sorry to hear about your Hannah! We will keep her and you and your family in prayer! God bless! Thank you so much, Chris and Tracy! We really appreciate your prayers! I will pass your well-wishes on to Hannah. God Bless.